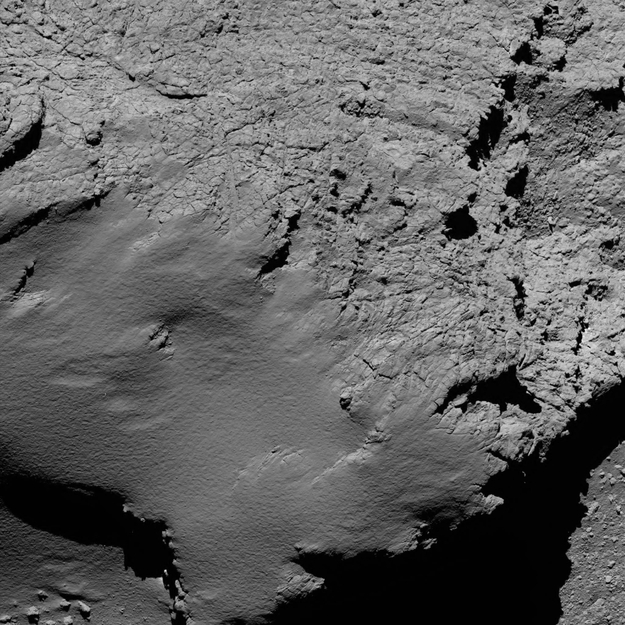 Rosetta's OSIRIS narrow-angle camera captured this image of Comet 67P/Churyumov-Gerasimenko at 06:53 UTC from an altitude of about 8.9 km during the spacecraft's final descent on 30 September. The image scale is about 17 cm/pixel and the image measures about 350 m across. The image shows a portion of the small comet lobe, with portion of the rough Hathor region (top right) and smoother Ma'at (bottom left).